A thick, airy edge with a crispy crust and velvety bite, topped with deep red tomato sauce, fresh buffalo mozzarella, the best olive oil and fresh green basil … Neapoletan pizzas are a specialty. My passion for this art form from Naples and sourdough brought me to my own way of working: Pizza Napoletana al lievito madre. The idea of a baselayer of bread dough topped with fresh ingredients is already centuries old, and in all probability also not an invention from Italy. The Neapoletan pizza is, however, as the name already suggests, born in Naples. In 1889 Margherita, the Queen of Savoy, came to Naples. Because Naples was known for the good pizzas and the queen did not know this dish, she wanted to get acquainted with this local specialty that was so high about. She met the art at master chef Raffaele Esposito, in his pizzeria ” di Pietro e Basta Cosi ”. Raffaele decided to make a pizza for the queen with the colors of Italy: bright red tomato sauce, white buffalo mozzarella and fresh green basil. The queen liked the pizza so much that she wrote Raffaele a letter to thank him. Raffaele was in his turn so impressed and proud that he now called the pizza “Margherita”. The centuries of development and the fantasy of the Neapoletans has ensured that the Neapoletan pizza nowadays has a DOC (Denominazione di Origine Controllata) designation, in order to preserve the culinary art of it. 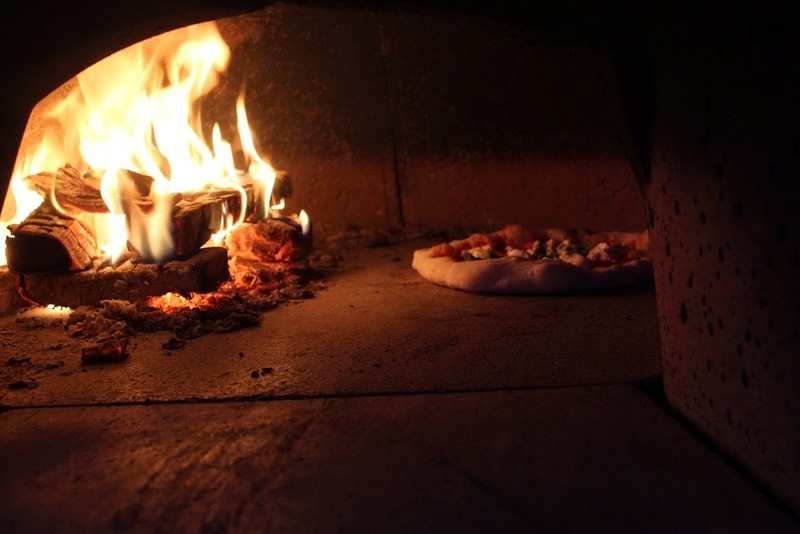 The Associazione Verace Pizza Napoletana Foundation (AVPN) is responsible for the preservation of this art, both in terms of training the pizzaioli (pizza bakers) and certifying the pizzerias. A real Neapoletan pizzeria can only use the logo of the AVPN if they have been approved by the judges from Naples! But what is Neapoletan pizza? The basis is the pizza dough that, unlike most types of dough, has to proof for an extremely long time. The proofing time, sometimes as much as 48 hours, depends on the amount of yeast or sourdough that is used. The Naples prescription indicates that a maximum of 3 grams of yeast per 1700 grams of flour may be used, very little. I myself use my own sourdough (sourdough is allowed by the AVPN) and no baker’s yeast. In the beginning it seemed impossible, even my Italian teacher told me that only sourdough would not work. Now, five years later, my sourdough is the boss of the dough. Thanks to a special method of maintenance, she has become as powerful as yeast and now she now even powers the dough at Pizzeria El Flaco. My dough proofs for about 24-48 hours and therefore gets an intense aroma. Although the AVPN suggests a ratio of 60% hydratation, I work with a percentage between 64 and 68%. This makes the dough even lighter and easier to digest. The high moisture percentage does make for a difficult to handle dough. Forming the base without destroying the proofing process is therefore a combination of feeling and experience. That makes the process of Neapoletan pizza an art for me. During the baking, you can see the pizza rise. After 60 seconds of baking, it is ready.